Martindale-Hubbell: Preeminent AV Rating - The Pearce Law Firm, P.C. For decades, Martindale-Hubbell has provided directories and ratings for lawyers based on their achievements and reputations. 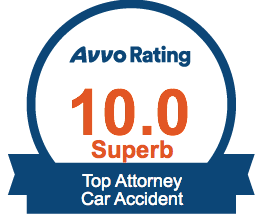 To receive a Preeminent AV Rating means that an attorney has been recognized by his or her peers as having the skills and integrity of a model member of the profession. When you retain a Preeminent AV-Rated Lawyer, you know that you’re hiring an attorney who performs at the highest levels, both ethically and professionally. Edith Pearce has achieved the highest AV rating, acclaimed by her peers for her proficiency and accomplishment in trial law. Earning Martindale-Hubbell’s top rating requires determination and a commitment to clients and their best interests. The Pearce Law Firm has a long tradition of success in the courtroom. When you work with Edith and our staff, you can rest assured that all of our resources and considerable experience will be applied to your case and every legal avenue will be explored.